Solutions for split-screen co-op on Windows are available. 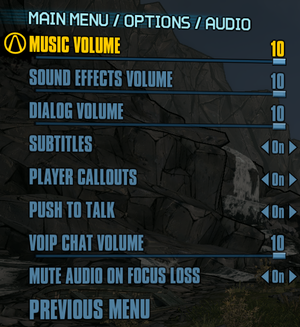 Features every menu option promised in Claptrap's love letter to PC gamers, including an FOV slider, Vsync, and controller support. FPS drops affecting high-end hardware. No support for cross-platform cloud saving. Manual intervention is required to load the save files from Windows on Linux. Separate multiplayer servers (cannot play with Steam players). Exclusive skins and rocket grenade mod. 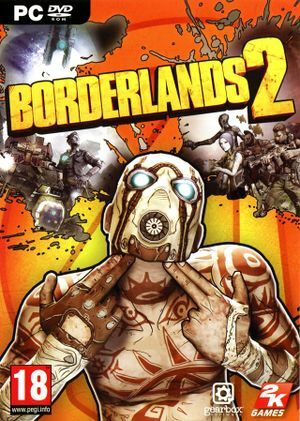 Borderlands: The Handsome Collection (includes both Borderlands 2 and Borderlands: The Pre-Sequel) released in 2018 contains all available DLCs for the two included games. This is the only way to receive all available DLCs as a package as the GOTY release of Borderlands 2 only includes a subset of all released DLCs for the game. Part of the Game of the Year Edition, Pre-order Bonus. A list of all redeemable SHiFT code is available here. A comprehensive tweak guide is available on the GeForce website. Find the following lines and set them to these values. Notable performance improvement, as by default most bodies disappear only after ten whole minutes. Saves manually migrated from Windows to Linux must have all lowercase characters in the filename. No cross-platform syncing to prevent version mismatch when patches are delayed for OS X or Linux. A community-created patch exists which resolves many of the game's outlying issues, as well as adjusts drop rates, adds cosmetic tweaks, and more. There also exists a mod manager, which allows you to turn off certain changes in the patch. It is highly recommended. The mod manager can be found here, and the Community Patch can be found here or here. Distant fog disappears while sprinting at 110° FOV. To fix, set FOV to 108°. Native FXAA, can force SGSSAA via NVIDIA Profile Inspector (0x080000C1). High FPS causes the player/vehicle to get stuck on certain terrain, most notably the curb in front of Crimson HQ. Protanopia has problems; use deuteranopia for protanomaly or protanopia. Under Profiles select Borderlands 2. Under Ambient Occlusion compatibility insert the compatibility code 0x00000021. Under Ambient Occlusion setting select Performance,Quality or High Quality. You now have HBAO+ enabled. This setting can have a heavy impact on frame rate depending on your specs, if you get unplayable frame rates with High Quality try lowering this value progressively. Replace Borderlands2.exe in the game folder. For DualShock, see Change controller prompts. Find the following line and set it to 1 for an Xbox 360 controller or 2 for a DualShock controller. Music, sound effects and dialogue. Russian users get two versions of the game on Steam. The Russian version is only for Windows and multiplayer incompatible with the base version. Go to <path-to-game>/WillowGame/CookedPCConsole/ and rename the currently active audio language, such as English(US) to something else. Set the desired language in Steam. After the download has finished rename English(US) back to its original name. Some of the intro cutscenes might still be playing in the original native audio language. Windows, OS X and Linux players sometimes need the same game version to play together. Mismatch issues might be caused by delayed OS X and Linux versions of the patches. Currently, PC/Mac/Linux are synced to enable co-op multiplayer via Steam. Steam and Mac App Store players cannot play together. Use either this tool or follow this Steam Users' Forums Guide on hacking splitscreen into the game. Add the IP address as a command line argument. Use Helix Mod: Borderlands 2 3D Vision Patch New Version for the best experience. Game resets when clicking on launcher. Some users have reported that updating your BIOS to the latest version solves this and other problems for users with AMD FX chips. Once in a while dropped loot may fall through the world. Setting PhysX to Low or Disabled is reported to help. May allow people to join your game. Will cause decreased network protection. Game seems to use strange ports for networking which aren't covered by most routers' 'unblocked ports' by default. These ports are UDP/TCP: UDP 50000-65535. Will allow Borderlands 2 and associated ports to go through system firewall. Will cause decreased computer protection. Make an exception for the Borderlands 2 application in Windows Firewall. If that fails, make an exception for the ports themselves. Disable Windows Firewall or your firewall provider entirely before launching the game. This forces the game to use TCP network connections over UDP. Right click Steam and select 'Run as Administrator'. Log into Steam then make a Borderlands 2 shortcut on your desktop. Right click and run the shortcut as Administrator. This is the preferred solution as it is the simplest, most convenient and safest option. Right click on the folder <path-to-game>. Click Properties, and uncheck the 'read-only' option. When starting the game, the .NET should update one more time. The next time the game is launched, the .NET will not attempt to install again. After launching the game, it will ask to allow it to make changes to your computer. Click 'No' at this stage. Right click and add a DWORD named NET40Redist and give it a value of 1. If you have other installers launching, look at the installscript.vdf which you can find in the installation folder. Open installscript.vdf with Notepad and look at the names in quotes before each line of process 1. Add the DWORD with a value of 1 which will tell Steam the process has been completed and it will not launch again. This is caused by one symbol having a different size in shared object. This happens due to the fact the game uses /usr/lib/ssl path to store the certificates in Ubuntu-based distros. Some other distros however uses /etc/ssl/ path instead. 3.3 OS X and Linux only. PhysX Linux version is not GPU accelerated. Wwise, OpenAL OpenAL is Linux only. Stat FPS Displays the current FPS in game. ToggleHUD Toggles the HUD on and off. 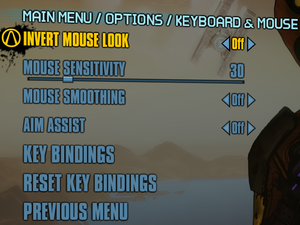 FOV Allows you to adjust the FOV beyond the range available from the Video Options menu. Note that some rendering issue may occur with very large or very small FOV settings. Quit Allows you to quickly exit the game. Gamma value Allows you set the Gamma value (brightness) beyond the bounds of the Video Options menu. Value is a floating point number (for example, 2.5). SetRes HxV Allows you to set a custom screen resolution to a value other than what is offered in the Video Options menu. H is the horizontal resolution. V is the verical resolution (for example, "setres 1024x768"). TiledShot 6 128 Take an ultra resolution screen shot, more info here. To take a tiled screenshot you must turn the cell shade off, Disable black outlines. Find the following section and add these values. Open the console with Ctrl+~ or Ctrl+\. Find the following line and set it to this value. This will force Ambient Occlusion to be disabled, regardless of in-game settings. Dynamic Shadows are a big resource hog, causing computers that exceed the recommended specs to see big FPS drops. The game is quite CPU dependent and as such it is recommended to use a CPU with at least two logical cores. ATI/AMD and Intel video cards are officially unsupported on Linux. This page was last edited on 20 April 2019, at 20:25.